We’ve all had the questions at one time or another. 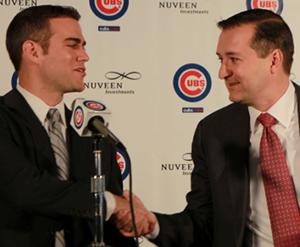 Why did the Chicago Cubs’ payroll fall off a cliff in 2012? Why is it going to be so far below $100 million this year? What are the Cubs doing with their money if their revenues are near the top of the league every year? Why aren’t the billionaire owners of the Cubs doing more to field a compelling product at the big league level? What are the supposed spending restrictions on the Cubs, and why are they all of a sudden an issue? In short: Why are the Cubs being so cheap? I heard the questions. Hell, I had some of them, too. For the most part, I found the available answers unsatisfying, and I grew tired of my own inability to offer a compelling and comprehensive explanation that addresses each of those questions. So I decided to start looking for answers. For several months, I have immersed myself in the financial realities of the Chicago Cubs. That meant talking to Cubs officials, reviewing documents related to the bankruptcy of the Tribune Company, reviewing documents and published reports related to the sale and ownership structure of the Chicago Cubs, reviewing documents related to the IRS investigation of the sale, reviewing relevant financial statements, learning from finance and accounting experts with knowledge of MLB team operations, talking to legal/banking/transactional experts, and much more. The finances of a private company will almost never be laid bare for the world to see, so I won’t pretend to have it all. I sought out the best information I could find in order to offer the most robust analysis I could. Further, although he wouldn’t comment on the record for this piece, the reporting here is consistent with conversations I have had with Tom Ricketts, as well as comments he’s made in other published reports. And, at the end of the digging, it turns out we’ve already heard the answer to the big picture financial questions many times before. “We have a baseball plan and we have a business plan and they’re timed to sync up with one another,” Chicago Cubs President of Baseball Operations Theo Epstein told the media nearly one year ago, as noted in this ESPN report. At various times during his tenure as the top baseball man with the organization, Epstein has echoed this sentiment – that the business plan and the baseball plan are aligned in such a way as to harmonize almost perfectly if each side accomplishes their objectives. There have always been two ways to think about those comments, but, until I started researching for this piece, I focused on only one way: the long-term baseball future implied by “the syncing”. That is to say, the Cubs are rebuilding their young core and scouting/player development, and that process will bear fruit in conjunction with the business plan providing significant infusions of new revenue (tied largely to the renovation of Wrigley Field and securing new broadcast rights deals). But isn’t there another – now backward-looking – way that the baseball plan and business plan could be syncing up? That they were syncing up from the outset of the Epstein/Hoyer administration, or perhaps even earlier than that? Let me put it another way: has payroll fallen in recent years solely because of, and wholly incidental to, the baseball plan? Once ownership and the new front office committed to a deep rebuild, payroll was going to fall as an organic byproduct of turning over contracts, focusing on young asset accumulation, and acknowledging that meandering around .500 wasn’t going to set the organization up for sustained success. The old way of doing things – which produced playoff teams in 2003, 2007 and 2008 – wasn’t going to work forever, if it was still working at all. Things had to change dramatically, and a drop in payroll was to be expected. So, is that it? Is that the entire financial story? Did the baseball rebuild necessarily require a paring back of payroll? Even if baseball operations were given a blank check to do anything they pleased, would they still have sat largely on the sidelines in their first three offseasons at the helm of the Cubs? Maybe. To optimize their asset-gathering strategy, particularly in a new-CBA era that restricts an organization’s ability to rapidly acquire impact young talent while also being a .500-ish team, maybe the front office would have proceeded precisely as they have, regardless of the money available to them. And, to be quite clear: I do firmly believe the baseball rebuilding plan has driven the bulk of the Cubs’ activities over the past few years. But as I considered this idea that the “business plan” is syncing with the “baseball plan,” I started to wonder: is there also a business reason that this particular approach to baseball rebuilding is the most appropriate path for the present-day Chicago Cubs? And after months of research, I believe the answer to that question is yes. Working in tandem with the baseball reasons for the rebuild proceeding the way it has, there are business reasons the Cubs have operated within certain financial parameters over the past few years. Just as the baseball plan revolves around building a foundation for sustained success and focusing available dollars on investments designed to provide long-term benefits, the business plan revolves around building a substantial and sustainable revenue base. What does that have to do with the diminishing payroll of recent years? Well, it’s complicated. With the Chicago Cubs and success, it always is. For a number of years – the years relevant to the present day, anyway – the Chicago Cubs featured a competitive, but not upper echelon, payroll. With the surprise success of 2003, and the attendant increases in revenue, payroll rapidly ascended, and the team actually began the 2004 season with the sixth-highest payroll in baseball at $91.1 million. Payroll lingered at that level until the 2007-08 ramp-up, associated with a number of high-profile free agent signings, and concurrent with the Tribune Company’s multi-year effort to sell the Cubs. Heading into 2014, the Cubs’ payroll projects to fall even further, perhaps as low as $85 million, which would place them among the 10 lowest payroll teams in baseball this year. The descent from the 2010 peak is striking, and it appears to have accelerated rapidly after the Cubs brought on board a new front office that began an aggressive rebuilding program. But the descent coordinates not only with the import of a new front office and a new operations strategy, but also with the sale of the Cubs to the Ricketts Family. While that sale was finalized in advance of the 2010 season, the contractual commitments that came with the Tribune’s pre-sale spending ramp-up in 2007 and 2008 necessarily lingered for a couple years without a great deal of “new” spending. The big signings for the 2010 season? Marlon Byrd, at $5 million per year (9th highest paid player on the team), and John Grabow at $3.75 million per year (10th highest). The story in 2011 was the same, with Carlos Pena’s one-year, $10 million deal (spread over three fiscal years) the “big” new signing (6th highest salary on the team). In other words, the big contracts driving the elevated payrolls in 2010 and 2011 were of the inherited variety, and the 2010 and 2011 payrolls were as reflective of “Tribune era” spending as “Ricketts era” spending. Tom Ricketts called those pre-sale payrolls “unsustainable,” which most believed to be an accurate reflection of the Tribune Company’s aggressive increase in the payroll in the years leading up to the sale (a better team yields better attendance/ratings and, thus, better revenue – and, if you know you won’t be around to pay the bills for most of those contracts … ). Even if the escalating payrolls of the late Tribune era were unsustainable, surely something more than $100 million is sustainable, right? Generally-speaking, MLB and the MLBPA like to see about 50% of revenue spent on payroll, and we’re fairly certain the Cubs are generating more than $200 million in revenue these days. So, then. What gives? We already know many of the baseball reasons that some dollars have been shifted away from payroll: increased spending on operations, increased spending on the amateur side, etc. That’s all legitimate – and has been a success so far, from my perspective – and it’s a piece of the story. But what about the business side of the equation? Two very important things happened in 1981: I was born, and the Tribune Company purchased the Chicago Cubs for $20.5 million. As I grew as a living thing, the Tribune Company grew as the faceless owner of the Cubs franchise, shepherding it through cycles of competitiveness and putrescence, passion and disinterest, profitability and, well, more profitability. By the time the Tribune Company was confronted with the possibility of selling the franchise, its value clearly exceeded $800 million, even in a turbulent market. Because of that tremendous appreciation, when the Tribune Company sold the Cubs as part of its bankruptcy in 2008/2009, there was expected to be a healthy tax bite associated with the deal, leaving less money for creditors and, ultimately, the owners of the eventual reformed company. Employing a strategy used in a previous media property sale, the Tribune Company utilized a leveraged partnership, instead of a true sale, to capture the asset value of the Chicago Cubs (and Wrigley Field, and 25% of Comcast SportsNet). This was to be the structure of the deal regardless of who bought the team. If you wanted the Cubs, you were going to have to play by the Tribune Company’s rules. In a leveraged partnership, a “seller” partners with a “buyer” to form a new entity, which takes on the assets and distributes cash to the “seller.” In its formation, the partnership takes on a great deal of debt, which is guaranteed by the seller. Doing so allows the “seller” to receive the cash distribution, and defer the taxes associated with the sale of the asset. In the Cubs/Tribune partnership, therefore, the Tribune Company insisted that the “buyer” be prepared to utilize a substantial amount of debt to complete the transaction – perhaps quite a bit more debt than the interested buyers might otherwise have preferred to take on, particularly in light of the credit market troubles at the time. The actual late-2009 transaction was complicated, and having something of a background in large, corporate deals from a legal perspective, I can say for certain that some of the terms (and the financing) will never fully be known by the public. The essence of the deal, however, was this: each of the Tribune Company and the Ricketts Family would contribute money and assets to a new entity called Chicago Baseball Holdings, LLC, (“CBH”) as well as a handful of subsidiaries (for example, Wrigley Field Holdings, LLC). 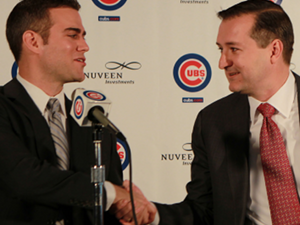 The Ricketts would contribute the cash, and the Tribune Company would contribute the Chicago Cubs and related assets. At the end of the transaction, the Ricketts Family owned 95% of CBH, the Tribune Company owned 5%, and the Tribune Company had received a cash distribution of $705 million. This new partnership would own the Chicago Cubs for 10 years. After those 10 years – in late 2019 – the partnership could distribute the Chicago Cubs and related assets, outright, to the Ricketts Family. To provide the “money” part of the creation of the CBH entity, the Ricketts Family contributed $150 million in cash, CBH borrowed approximately $250 million from the Ricketts Family Trust, and CBH borrowed $425 million from various banks. The debt held by the Ricketts Family Trust, as you’d expect, is believed to be on terms favorable to the Cubs. As for the Cubs’ bank debt, it has been modified in a handful of ways since the original transaction: $250 million in short-term bank debt was refinanced shortly after the sale, and the remaining $175 million was refinanced in late 2013. The $250 million, which was raised in private placements to institutional investors – think insurance companies, pension funds, etc. – matures at various points through January 2022. In other words, since the original sale and borrowing, it is my understanding that the level of the Cubs’ debt has not decreased substantially, but the terms on the Cubs’ debt have likely improved slightly. Why does any of this matter? Well, there are at least two reasons. First, even the best debt comes with an interest expense. For the Cubs, that amounts to some $30 to $35 million per year in interest expense, or “debt service payments,” according to a Cubs source. That’s money that is not otherwise available for expenses like payroll. Because of the nature of the partnership with the Tribune Company, and because the partnership will own the Cubs entity through 2019, there isn’t really anything the Cubs or the Ricketts Family can do about the existence of debt service payments until then. Second, the Chicago Cubs do not operate in a vacuum, and their indebtedness is watched carefully by the Commissioner’s Office, among whose duties it is to be sure that baseball teams are sufficiently solvent to continue operating without issue. It’s important to note that MLB was fully apprised of the nature of the Tribune Company/Ricketts Family/CBH transaction, and it would not have allowed the Cubs to be buried under a paralyzing level of debt. No Club may maintain more Total Club Debt than can reasonably be supported by its EBITDA. A Club’s Total Club Debt cannot reasonably be supported by its EBITDA if Total Club Debt exceeds the product of that Club’s EBITDA during the most recent year multiplied by the EBITDA Multiplier applicable to that Club. In other words, a team’s EBITDA – Earnings Before Interest, Taxes, Depreciation, and Amortization – in a given year must be higher than its debt divided by a “multiplier” that is specified in the CBA. The rule makes sense because, very generally-speaking, EBITDA is a reflection of the kind of money a business is generating in a given year after regular expenses. If a business isn’t generating enough money each year to support its debt, financial peril could be right around the corner. In essence, the Debt Service Rule forces MLB teams with debt to show “earnings” each year, whether they want “earnings” or not. Teams that violate the rule can face a wide range of “remedial measures,” imposed at the discretion of the Commissioner, particularly if they are not compliant for multiple consecutive years. Those remedial measures could include limitations on baseball operations, requiring MLB pre-approval for a number of operational decisions, imposing financial sanctions, suspending executives or owners, and even draft-related sanctions. Prior to the 2012 CBA, the “multiplier” referenced in the rule was 10. That is to say, if a team was carrying $500 million in debt, it needed show only $50 million in annual EBITDA to satisfy the Debt Service Rule. In the 2012 CBA, the multiplier dropped to 8. Now, that same team with $500 million in debt is forced to show $62.5 million in earnings to satisfy the Debt Service Rule. More than $12 million could have just been removed from, for example, the baseball operations department’s budget. Turns out that 2012 CBA just keeps on twisting the knife, eh? The Chicago Cubs currently carry $425 million in debt for purposes of the Debt Service Rule. Under the current CBA, $40 million of that debt is “excludable,” so we take it away before performing our EBITDA calculation. At $385 million and a multiplier of 8, the Cubs would have to show just about $48 million in EBITDA to comply with the Debt Service Rule. Under the previous CBA, with $40 million in debt excludable* and a multiplier of 10, the EBITDA requirement would have been just $38.5 million. In other words, from 2011 to 2012, the Cubs suddenly had to “find” an additional $10 million in earnings. Revenue growth can help, if it’s happening, but that could also mean a cut in expenses (payroll is but one example). Perhaps this is an additional factor to consider when observing the sharp decline in payroll between 2011 and 2012. Now, I don’t want to overstate the impact of the 2012 CBA and the Debt Service Rule. Because debt service payments come after EBITDA (that’s the “interest” part of “earnings before interest, taxes, depreciation, and amortization”), the Cubs were going to have significant “earnings” anyway in order to be able to make those service payments. But, if my calculations under the rule are correct, and if the Cubs’ debt service payments are in the $30 to $35 million range, there is still $10 to $15 million of “extra” EBITDA the Cubs have to show each year. If the Cubs are annually required to show such substantial “earnings,” how can we square the numbers here with the Ricketts’ repeated and very public pledge that the Cubs represent a closed system, where every dollar that comes in the door goes right back into the organization? Are they actually using this Debt Service Rule as a shield to grab some “earnings” and say, “sorry, everyone, MLB is making us take a profit”? Nah. Here’s the thing about EBITDA: it’s a little flabby. That means there’s a great deal of discretion on what is included in it and what isn’t, and a company could show substantial EBITDA that doesn’t actually give a complete picture of what’s being spent in a given year. How would this play out in the operation of a professional baseball team? I spoke with a finance and accounting expert who has worked with MLB teams (not the Cubs) on these very issues. He explained that it is common for MLB teams to show significant EBITDA, but not necessarily show significant (or any) profit. Further, EBITDA is designed to demonstrate the ongoing annual health of an operation, based on revenues and expenses – the kinds of things that repeat year after year. As the definition indicates, taxes and interest paid on debt are excluded, as are one-off expenses like infrastructure investments or equipment purchases. Baseball teams frequently spend post-EBITDA earnings, for lack of a better description, on these kinds of one-time investments. Where could the earnings be going instead? Well, as I said, debt service is the big one. The Cubs also pay about $1.5 million annually in property taxes. Because the Cubs (and related entities) are structured as an LLC, the income tax obligations pass through, and are not associated with the Cubs entity. Throw in other one-time expenditures like the new facility in the Dominican Republic, the new office facilities near Wrigley Field, the custom software/analytics package from Bloomberg, the upgrades to minor league facilities, etc., and it’s not too difficult to imagine the Cubs using up all of those “earnings” in the last few years, and satisfying the Ricketts’ pledge to put every dollar that comes in the door back into the organization. And that’s to say nothing of the potential for building up funds to help finance the Wrigley renovation, or to keep some free agent powder dry for the next offseason. For that reason, MLB’s Debt Service Rule functions only as a restriction on the dollars the Cubs might otherwise be able to allocate specifically to ongoing baseball operations (like payroll), rather than as a spending restriction on all things baseball. But, because of the current rebuild, it’s likely that a great deal of resources would have been shifted to other, one-time expenses anyway. Consistent with that thinking, Cubs sources downplay the impact of the Debt Service Rule on the Cubs’ financial situation. Still, it’s a rule that must be followed, and, as long as the Cubs entity carries significant debt, it will remain a consideration as the Cubs determine the percentage of revenue that can be allocated to ongoing baseball operations. So, we’ve established that the Chicago Cubs’ debt is something of a restrictive element when it comes to spending. Can’t the Ricketts Family just get rid of the debt? Just pay it all off and be done with it? No, not really. Remember the structure of the Tribune Company/Ricketts Family transaction involving the Cubs? The leveraged partnership? Here’s the thing about a leveraged partnership that is designed to defer taxable consequences: it can’t look like a sale that’s been dressed up as something else. Indeed, there are “disguised sale” rules that govern these kinds of partnership transactions, and if it quacks too much like a sale, the IRS will pounce. I can only imagine that if the “buyer” in a leveraged partnership immediately paid off the debt – you know, the debt that made the whole partnership transaction not look like a sale – the deal would look fishy real quick. Further, the entire point of the leveraged partnership transaction was to defer the taxable consequences of the sale of the Chicago Cubs. Once the debt is paid off, by rule the deferral ends, and the taxes must be paid. The partnership, which will own the Cubs through 2019, will also be carrying debt for that period. That, simply put, is that. An interesting sub-wrinkle: Even when ostensibly following the letter of the law, a leveraged partnership can come under IRS scrutiny if it looks too much like a sale. And that’s exactly what happened last year with a Tribune Company transaction involving the formation of a leveraged partnership very similar to the Chicago Cubs transaction: the “sale” of Newsday to Cablevision, regarding which the IRS has already concluded there was a sale that should have resulted in the Tribune Company paying tax on gains back in 2008. The IRS is also auditing the Tribune Company’s taxes for 2009, the year in which the Chicago Cubs’ “sale” took place, and that transaction is also being scrutinized. Presumably, the IRS will seek to treat the “sale” of the Chicago Cubs as a sale (no quotation marks) for tax purposes, as it did with Newsday, and the Tribune Company may wind up with a heavy tax bill when all is said and done. Here’s where I’d love to say that, if the Tribune Company is forced to recognize the Chicago Cubs transaction as a sale and pay taxes accordingly – whether by edict or by negotiated settlement agreement – the constrictive partnership structure goes away, and the Ricketts Family is free to do as it pleases with the Cubs, including obliterating the team’s debt. Unfortunately, I can’t say that, because I’m simply not so sure that’s how things would proceed, given the complexities of the partnership and the debt. That said: it’s worth keeping tabs on the IRS investigation. If and when it finally comes to a resolution, some of these issues will likely be re-examined. Circling back to the Cubs’ debt load. So if the existence of the massive debt is at least partly artificial, and if it isn’t within the Ricketts Family’s power to make it go away on their own, here comes the obvious question: why can’t the Ricketts Family just spend out of pocket to increase payroll until the debt is paid down? Recall, the Chicago Cubs are owned by a partnership (Chicago Baseball Holdings, LLC) between Ricketts Acquisition, LLC (95%) and the Tribune Company (5%). Ricketts Acquisition, in turn, is 100% owned by the Joe and Marlene Ricketts Grandchildren’s Education Trust (the “Ricketts Family Trust”). The Ricketts Family Trust, which obviously does not exist solely to fund the Chicago Cubs, much as the fans may wish it so, is operated by RPTC, Inc. as Trustee. And RPTC’s President is Joe Ricketts, with attorney David Larson, and Tom, Pete, Todd and Laura Ricketts serving on the board. So, although there are interrelations between the persons running the Cubs and the entities on up the chain, those entities are distinct, serving different purposes. The Cubs are, in some ways, a self-contained – and, thus, self-reliant – entity. Furthermore, to the extent the Ricketts Family – in whatever its corporate incarnation – desired to spend out of pocket on the Chicago Cubs, I’d expect them to do so in ways that would further the long-term baseball and business goals of the organization. For example, financing the renovation and development of Wrigley Field, as the Ricketts Family has pledged to do, is an investment that returns money to the organization every year, rather than a one-time free agent expense that guarantees nothing. 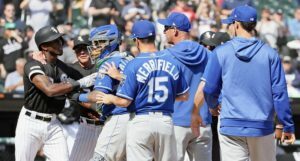 From a purely selfish standpoint as a Cubs fan – one with a very long view – even I would rather the Ricketts opt for the former over the latter. You’ll forgive if the dive here isn’t particularly deep, as this is a subject that has been very well-travelled in recent months, and I don’t want to go too far beyond the scope of this article. But, suffice it to say: free agency has changed dramatically since the new CBA was enacted over the 2011/2012 offseason. With dramatic restrictions imposed on teams’ abilities to acquire amateur talent, and with league-wide revenues skyrocketing, two things have happened: (1) free agent prices have increased dramatically, and (2) the overall quality of the free agent talent pool has declined. As to the second item, the reason has never been more clear than this past offseason: thanks to big money and big revenue-sharing, every team, large or small market, can now afford to lock up its own stars into their 30s. Fewer and fewer big names are reaching free agency before they enter their decline phase, and, thus, fewer and fewer free agents have made sense for the Cubs in their current rebuild. As we’ve discussed before, spending big in free agency to add incremental wins 72, 73, and 74 doesn’t make sense from a business or baseball perspective. That being the case, and the free agent market being what it is, the Cubs have been strongly disincentivized to spend big money in free agency while they rebuild. Payroll, then, has fallen even further than it might have otherwise if free agency were still a viable path to building a winner. The Cubs have never been – and will never be – an organization like the Yankees that can not only buy competitiveness on the open market, but can also afford to paper over the many, many mistakes that are inevitable under such an approach. And, frankly, I still wonder if the Yankee approach isn’t going to come home to roost over the next few years. Things are very different today than they were even ten years ago, and the baseball approach the Cubs have taken syncs even more clearly with the business approach in light of these market realities. That is to say: spending big money now to try and prop up a 70-win team will get you nowhere fast. But if you want to win and continue winning once you’ve got a young core in place? Well, you better have a hell of a revenue base built up. Because keeping and augmenting that talent base grows more expensive every year. A baseball organization’s business plan is as important now as it ever has been. And none of this is to say that spending in free agency during a rebuild is never a good idea, and/or that the financial restrictions made spending by the Cubs in the last few years impossible. Indeed, we know that the $100 million-ish payroll level for the last three years is not entirely the product of business/MLB-related restrictions. For example, we know that the front office was given the ability to pursue guys like Yu Darvish, Yoenis Cespedes, Anibal Sanchez, Hyun-Jin Ryu, and Masahiro Tanaka, even though landing them would have increased payroll. Sure, the Cubs maybe didn’t have quite enough financial flexibility necessary to land those guys, but seriously pursuing them means that there was money there to be spent if baseball operations deemed it a good investment. The fact that the Cubs didn’t immediately replace all of that would-have-been payroll with other free agents suggests, at some level, the payroll is being dictated by baseball operations decisions. The baseball operations men simply decided that putting that money toward other free agents – older, less impactful, more flawed, perhaps – was not a wise long-term strategy. Even without any financial restrictions, spending just to spend doesn’t make much sense. The financial restrictions simply make that fact all the more salient. Although not directly tied to the sale of the team or the debt picture, an underdiscussed financial hurdle facing the Chicago Cubs in the last few years is the loss of revenue associated with rapidly falling attendance. Per Baseball-Reference, attendance at Wrigley Field peaked in 2008, when the Cubs hosted 3,300,200 fans. Attendance dropped in each of the five consecutive years thereafter, falling to just 2,642,682 in 2013. Consider that the average Cubs ticket price is just shy of $45, and the average ticket-going attendee spends about $15 on concessions. At $60 per lost head, the Cubs have dropped upwards of $39 million in annual revenue since 2008. The Cubs, you’ll note, also lose a great deal in concessions from the increasing number of no-shows in recent years. Those attendance figures are paid attendance, not actual attendance. The guy who doesn’t come to the park doesn’t buy a beer. It’s important to point out that some of the attendance decline – maybe even most – is directly tied to the rebuilding plan, itself, creating a kind of vicious cycle of spending cuts, a lack of competitiveness, a drop in attendance, more spending cuts, etc. In other words, unlike a constrictive sale structure or an MLB rule or even the changing landscape of free agency, losing revenue due to falling attendance is largely an internally-driven problem. There is no boogeyman to blame on this one. Still, noting this significant revenue bite provides important additional context for the falling payroll of the past few years. Further, whenever the Cubs decided to engage in the kind of deep, veteran-dealing, prospect-accumulating rebuild in which they’ve engaged, attendance was going to take a hit. Research indicates, as does the current experience of the Minnesota Twins (who have spent the sixth most money in free agency this year, but who are still facing dramatically falling ticket sales), that spending on big-money free agents to increase ticket sales doesn’t actually work. The only sure-fire way to drive attendance is to field a competitive team deep into the season. Once the Cubs decided to rebuild – a process long overdue – the attendance hit was coming. To my mind, the Ricketts Family’s willingness to take that hit and stick with the baseball and business plans should be a credit to their ownership, not a sword used against them. Without a huge television contract or considerable in-stadium advertising, the Chicago Cubs are far more sensitive to attendance as a revenue stream than is your typical large-market team. This lost revenue is a significant part of the story when addressing payroll declines in recent years. Against this entire backdrop, I find it useful to provide context in the form of an example year in spending. If we examine the revenue and the expenses we’d expect to see for the Cubs in 2013, is it really true that everything’s being spent? That the financial restrictions are having an impact? That the baseball rebuilding approach is evident in the expense allocation? To be clear: this is hypothetical in the sense that I have not reviewed the Cubs’ financial statements – nor has just about anyone outside of the organization. As a private company, the Cubs’ relevant financial documents simply aren’t going to be put out there for public consumption. However, there are a number of elements of the Cubs’ 2013 financial year that are publicly known, and there are a number of elements about which we can make reasonable estimates based on external sources. * The purpose here is not to try and “guess” the Cubs’ actual financial figures, and you are advised not to use these numbers in that way. Instead, the purpose is to contextualize the above discussion against a set of revenues and expenses that are plausible, based on the information available to us. A meaningful discussion of the Cubs’ financial picture in 2013 can start in only one place: revenue. While we don’t know the Cubs’ 2013 revenue for certain, we do have a few data points: (1) Business President Crane Kenney said at the Cubs Convention that the organization had the 5th highest revenue in baseball last year; (2) Forbes estimated 2012 Cubs revenues at $274 million (4th highest in baseball); and (3) Bloomberg estimated 2013 Cubs revenues at $320 million (4th highest in baseball). Taken together, and for the purposes of this hypothetical exercise, it is reasonable to begin with a 2013 Chicago Cubs revenue of $300 million. And, of course, the other side of the 2013 financial coin: expenses. The operations of Major League Baseball teams are, in some respects, not all that dissimilar from that of large, corporate enterprises. Which is to say: they’ve got a lot of expenses you might not think about unless you saw them laid bare in front of you. Unfortunately for our purposes, the Cubs aren’t about to give me access to their financial statements, and MLB wouldn’t allow it even if the Cubs wanted to. That said, a number of the Cubs’ expenses are relatively public – payroll, amateur spending, Wrigley Field upkeep, among them – and we can do a reasonable job surmising some of the other expenses based on a handful of MLB financial statements that were leaked in 2010 to Deadspin*: 2007 and 2008 Mariners financial statements, 2007 and 2008 Pirates, 2007 and 2008 Rays, 2008 and 2009 Marlins, 2008 and 2009 Angels, and 2008 and 2009 Rangers. To be sure, these statements are a bit dated, and the financial state of baseball has changed dramatically in the last four years. Further, and most importantly, these statements are for teams other than the Chicago Cubs. However, by examining overlaps among the organizations, and by viewing some of the expenses as a percentage of revenue (i.e., expenses that are likely to scale alongside the size of the business operation), we can do some mathematical gymnastics to approximate a range in which these expenses might fall for a team like the Cubs in 2013. Having 12 total statements from six teams of varying sizes and markets helps filter any outlying or idiosyncratic expenses. Reviewing the 12 statements, we can see some consensus expense categories emerging, even if the teams label them differently: Payroll, Amateur Spending, Scouting and Player Development, Team Operations/Administration, Ballpark and Ticket Operations, Marketing, and Revenue Sharing. *Approximately $10.72 million in international spending (including penalties), and approximately $11.4 million in draft spending (including penalties). Although Armando Rivero received a $3.1 million signing bonus, it is unlikely that it was entirely payable in 2013. I’ve estimated $1 million. **This expense among the teams varied dramatically, which may be in part the way teams elect to characterize “scouting” and “player development” for expense purposes. As a percentage of revenue, the figures ranged from as low as 4.6% (2009 Angels, but listed as “scouting” only) to 15.9% (2008 Pirates, but listed as “player development” only). Given the recent emphasis on scouting and player development, including expanded hiring and equipment/software incorporation, I expect that the Cubs’ spending here is at the high end of the range. 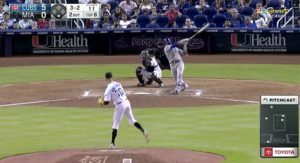 That said, even a 10% of revenue figure would yield a $30 million expense, which seems far too high given that the highest figure in any of the financial statements for scouting and player development is just over $20 million by the Rays, and that includes the operation of their farm teams (they were the only team to include that expense in this line item). That is all to say, estimating a figure higher than $20 million here simply seemed too high to be realistic. ***Generally, the teams’ operation/administration expense fell into the 16% to 19% of revenue range, with one team’s figure completely out of whack with the others. I’ll leave it to your imagination to figure out why the Marlins, at that time, had operation/administration expenses that were eating up more than 26% of revenue. The problem with using a percentage of revenue here is that you wind up with a figure in the $50 millions for the Cubs, when most of the raw figures fell in the ten-plus million range, and the absolute highest non-Marlins figure was under $22 million. For that reason, $22 million seems a reasonable estimate here, and may even be too high. ****The figures here generally fell between 5% and 7% of revenue, so I split the baby at 6% of revenue. *****This appears to be a very idiosyncratic expense, with some teams spending as little as 5% of revenue on marketing and sales, and others approaching 15%. My gut says the Cubs of late are probably on the higher end of this spectrum, but I settled in the middle at 10% of revenue, given that the final figure would still be top among the financial statements reviewed. ******Given the seismic changes to the revenue-sharing system in the last few years, and the complexities of performing an accurate revenue-sharing calculation, I have adopted Bloomberg’s reported revenue-sharing figure for 2013, discounted for $300 million in revenue as opposed to $320 million. Although this is simply a hypothetical example, it is rooted in a realistic look at the Cubs’ financial picture in 2013, and I am instantly struck by how the final figures shake out. This calculation leaves about $36 million in “earnings,” based on EBITDA and on $300 million in revenue. As we explored above, to be in compliance with MLB’s Debt Service Rule, the Cubs must show about $48 million in annual EBITDA – all things considered, this is pretty close. Fudge a percentage here, shave an expense there, or maybe correct the revenue northward, and you can pretty easily get to that figure. In that way, it’s easy to see how the present baseball operations spending figure – including the payroll barely north of $100 million – is the necessary result of the restrictions imposed by an artificially-inflated debt load and MLB’s rules. And what happens with those “earnings”? Well, as discussed generally above, these kinds of “earnings” are not synonymous with “profit”, as some have claimed, pointing to Forbes’ “operating income” figure for the Cubs in 2012. That figure, $32.1 million (pretty darn close to the hypothetical calculation above), is actually defined as “earnings before interest, taxes, depreciation and amortization.” Look familiar? Yeah, that’s EBITDA. In other words, that’s the amount the Cubs’ organization “earned” in 2012 before accounting for interest and tax expenses. To the extent there are “earnings” beyond that which is needed to cover debt service, that money can be, and has been, used on capital expenditures (i.e., acquiring or improving physical property, like the new Dominican facility or the office facilities next to Wrigley Field) or other one-off expenses of a non-recurring nature (e.g., the acquisition/development of custom analytical technology with Bloomberg). That is to say, simply because the Chicago Cubs show “earnings” by EBITDA does not mean that there is “profit” going to the Cubs’ owners. In the end, while this exercise in examining what the 2013 financial year may have looked like for the Cubs is hypothetical, it is instructive. Even at revenue levels that place the Cubs in the top five teams in baseball, the combination of debt service payments, MLB’s Debt Service rule, and Wrigley upkeep expenditures, among other things, leave only so much money for payroll for the Cubs right now. While that figure is elastic as expenses change and revenue increases, it’s not too hard, when breaking down the numbers, to see why payroll has trended down toward $100 million in the years after the Tribune Company unloaded the team. When considering the combination of debt service payments, MLB’s Debt Service Rule, and Wrigley Field upkeep expenses, there is anywhere from $45 to $60 million annually that is unavailable to the Cubs for baseball operations. And, to the extent revenues continue to feel the pinch of attendance declines, the pain associated with those unavailable funds is only going to become more acute. That’s a bummer. But it’s not like these financial issues have gone unanticipated by the Cubs, and that’s why we’ve seen such a dramatic surge in their efforts to capitalize on all reasonable revenue opportunities, from in-park sponsorship deals to Spring Training facilities naming rights to new concessions deals. In the past few years, the Cubs have ramped up their business operations, increased hiring, and worked hard to generate every last dollar of revenue possible. In that way, the business side is operating not unlike the baseball side right now: pinned down by certain externally-created limitations, they are having to find every edge, every efficiency, to generate as much revenue as possible. With that in mind, the Cubs are inclined to focus whatever discretionary money they have available on things that will return a long-term benefit, rather than a short-term patch. For example, the Ricketts Family plans to spend a huge amount of money on the renovation and development of Wrigley Field. Could those hundreds of millions of dollars have gone to funding a couple big-time player contracts? Sure. But, right now, the Cubs would rather spend money on something that returns revenue annually than spend significantly on aging free agents, where, once that money is spent and the player plays, the investment is gone. This is particularly true when spending big on aging free agents doesn’t align with the timing of the baseball plan anyway, and when the pool of available free agents is diminishing in quality. Just as the baseball side will not make moves in the short term that do harm to the long-term plan of a sustainably and annually competitive team, the business side is focused on providing a long-term, sustainable flow of revenue. In the short-term, each of those plans can lead to some pain, as we’ve seen with the falling payroll figures and the (partially) attendant performance on the field. In every sense of the phrase, the baseball plan and the business plan sync up. If you’re going to be dealing with the short-term pain associated with a deep rebuild on the baseball side, and if you’re going to face a variety of financial restrictions at the same time anyway, you might as well focus both sides of your organization on the long-term. That means investing in the future on both the baseball and business sides. It means facing the reality of the financial restrictions, and aligning the best possible baseball rebuild with the years where payroll was probably going to have to be reduced anyway. It means putting your organization in the best possible position to be a behemoth at the end of the rebuild (and the end of the restrictions), repaying the fans many times over for the price the years of last place finishes imposed. When Wrigley Field is renovated and the development plan is complete, Cubs sources estimate that the final project will add upwards of $40 million in incremental revenue. Couple that with a natural drop in that onerous $15 million annual Wrigley upkeep expense, and this is a significant improvement. Should the renovation begin after this season, as is currently expected, these revenue benefits will likely phase in over the course of the next five years. The Cubs’ television broadcast rights are currently split between WGN and CSN, with the rights to the WGN games available to the market after 2014, and the rights to the CSN games available after 2019. Some estimates project that the Cubs’ annual take in rights fees could increase by as much as $130 million. Even being conservative, an increase in the $70 to $80 million range appears to be a minimum. A portion of this revenue increase will kick in for the 2015 season, though the most dramatic changes will likely not come until after 2019. When the Cubs return to a modestly competitive state, considering the history of the fan base, attendance is likely to swing upwards again. With a wave of top prospects arriving en masse as soon as 2015, an increase in ticket sales and attendance beginning in 2015 is not unreasonable to project. Even a modest increase – say, 200,000 – could result in a revenue bump of $12 to $13 million. If attendance climbs as the team’s competitiveness improves, that revenue figure will further increase. As discussed extensively above, the Chicago Cubs will carry some considerable level of debt through at least 2019. To the extent the debt service payments and/or other restrictions related to the debt artificially limit the Cubs’ ability to spend revenue on the baseball side, those limitations may gradually ease over the course of the next five years. Understanding that there is $30 to $35 million in debt service currently paid annually, you can consider that figure extra revenue at some point in the near-term future, or perhaps by 2020, if the bulk of the debt is not paid down until 2019. Taken together, it’s easy to see why the long-term business picture is a bright one, and why the Cubs are confident that their business plan will ably support the baseball plan. 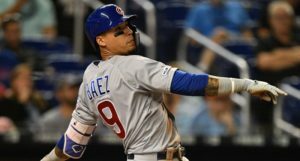 Future revenues have the potential to explode like a baseball kissing Javier Baez’s bat. (2.) Any optimism that you would attach to these projections requires that you believe the Ricketts Family’s repeated pledge to put every dollar that comes in the door back into the organization. Increased revenues matter to fans only if that revenue translates into an improved baseball product. My research into the Chicago Cubs’ financial picture over the past four years has pretty clearly demonstrated that the Ricketts’ pledge has held up so far. For me, that buys enough trust that, when the revenues increase, so, too, will the spending (if not sooner). I understand the skeptical among you who need more proof. In time, the proof will come – one way or the other – as the baseball plan progresses, and the payroll money is either there, or it is not there, to support that plan. At the end of this process, particularly after candid conversations with Cubs officials, and after examining the financial state of affairs within the context of the current rebuild, I am as confident about the long-term future of the Cubs organization as I’ve ever been. Has everything gone as smoothly as it could have? No. There have been player misses and political misses, and there’s only so much even the best front office can do about the cosmic dice rolls that come along with the game of baseball. In the near-term, anticipating another rough season at the big league level is never fun in March and April. So it is with the 2014 Chicago Cubs, and, about that, I am disappointed. But is the baseball plan still proceeding effectively? Yes. And is the business plan supporting that baseball plan in a way that positions the Cubs organization for long-term success? Yes. The goal is not a slightly more interesting team in 2014. The goal is having the kind of organization that can be a playoff contender every single year. That’s a lofty aspiration – one that Cubs fans certainly deserve – and it will take time to come to fruition. Knowing now what I do about the realities of the Chicago Cubs’ financial situation in the last few years, I can appreciate even further the timing of the deep baseball-side rebuild and the syncing of the business plan and the baseball plan. Pairing the artificial need to control spending with a rebuilding plan overseen by a top tier front office seems like a pretty savvy way to kill two birds with one stone. Even if nobody wished they had to kill one of those birds in the first place. Next Post Next post:Pre-Gamin’: Cubs v. Rockies (8:40 CT) – Lineup, Broadcast Info, etc.